Zach Lorkiewicz is an amazing horror film fan. He possesses the ability to dissect any film and really get into what makes it great...or what makes it terrible. 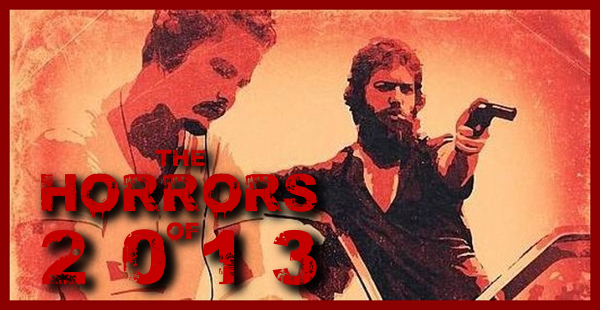 2013 was full of some truly great horror films, as well as the disappointments. 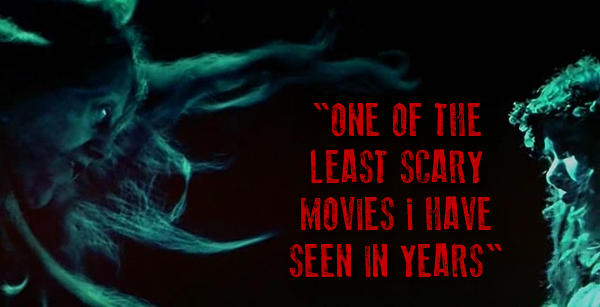 Join Zach as he reflects on the horror films that he experienced in 2013. Unfortunately, I have not caught up on a lot of great films I wanted to see this year, so I do not feel comfortable making a top 10 list for the site. However, I would like to look back at some releases this year and give my input on what worked…and what didn’t… (this, in no way, is indicative of my favorite films of the year). The marketing campaign behind Evil Dead was genius in every way, appealing not only to fans of the original, but to the casual moviegoer as well with the release of exceptionally well edited trailers that oozed intensity and horror. The film was promoted as being “the most terrifying film you will ever experience,” making it transcend normal movie going experiences. Additionally, Raimi and Campell backed the project until its release through interviews and video campaigns. It seemed like the project was in the right hands. Was the film as good as the hype? No, but movies rarely are. However, even discounting the hype, Evil Dead left me a little cold. Sure, it was fun, and had some great moments (and exceptional gore), but the characters fell flat, the intriguing and potentially powerful premise (Mia being a heroine addict) did not amount to much, and the movie failed to establish a strong – and even – tone. To me, the remake was entertaining enough, but just that. With stronger characters, a more solidified tone, and less Hollywood archetypes, Evil Dead could have been its own beast, but as it is, it feels not completely necessary. I am so sick of the zombie sub-genre it’s not even funny. If I did not have to see a new zombie film in years, I’d be ecstatic with the genre. However, then came the incredibly intelligent slow burn The Battery. Sure, the film has some flaws, but these are more than compensated by well-developed characters, an interesting setup, and a pace that feels excellently executed and earned. The last act is absolutely brilliantly done, and the film does not shy away from showing some brutal and emotionally demanding scenes. This is not necessarily a crowd pleaser, and Jeremy Gardner shows that he knows how to make a film that demonstrates impressive levels of restraint. Plus, the entire film was made for only $6,000, illustrating that good filmmakers can create a solid movie with ambition and talent. There is little to be said that has not already been covered with Kimberly Peirce’s fiercely disappointing retelling of the De Palma classic. Aside from the oversimplification of the original story’s morals (much more clearly defined villains), the pop montage sequences and the overuse of CGI, the movie completely failed in any way to answer the question of why this story needed to be updated to the 21st century, which is a complete shame, because if anything, Carrie is more relevant than it was when it was made in the 70’s. 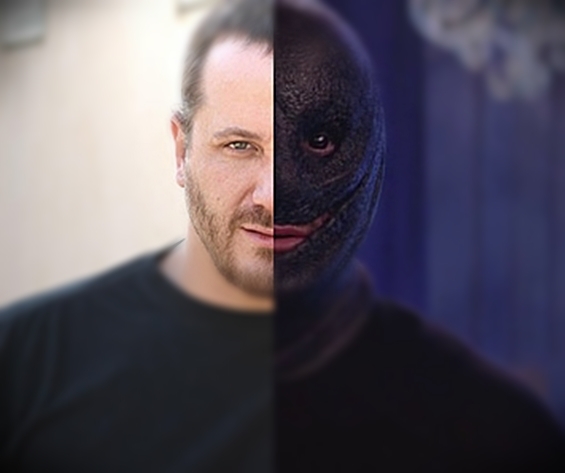 Additionally, the casting felt completely off. I love Julianne Moore and Chloe Moretz in other films, but in this, they just felt like they were going through the motions, and Moore’s character felt flat and forced. I hope Kimberly Peirce can rebound after this, because I truly think she is a talented filmmaker, but Carrie lives not only in the shadows of the original, but begs the question of why it exists in the first place. The best thing that can be said about The Conjuring is that it is a completely fun throwback to 70’s haunted house films in both plot and style, paying direct homage to films like The Amityville Horror. Wan finds himself shockingly restrained for most of the film (compared to the 2nd half of Insidious and the sequel) which elevates the relatively run of the mill and cliché ridden script into something that feels fresh and scary. While it may slip into moments of excessiveness towards the end, and the emotional moments may not feel completely earned, The Conjuring oozes style and entertainment, proving to be a well-directed and effective exercise in suspense and horror. I’d be interested to see Wan return to the genre, and apply the level of restraint he shows in this film to his future projects. Although Mama did not receive the most rave reviews, it is still overrated. It may be one of the least scary movies I have seen in years, and yet strives to find scares throughout. What many horror filmmakers do not realize is that once you show what you are building suspense for, you lose the audience, and Mama shows its ghost in the first 15 minutes, ruining the anticipation that could have been captivating later on. We find out too much too soon about where the film is going to go, ruining any sense of mystery and urgency. Not to mention the film is littered with clichés that need to die out (scary crawling children, overuse of CGI ghosts) and does not explore the complicated themes it touches, such as the strength of motherhood. Overall, the film feels fairly textbook in its execution, and cannot seem to find its footing with how to scare an audience. Unfortunately, horror fans seemed to dig You’re Next, but the movie bombed at the box office, and received little attention outside of the community. This is a complete shame, because You’re Next is a complete blast of fun, providing a strong female protagonist, a smart and pitch black humor filled script, and plenty of gore to appease many horror fans. After a somewhat cliché start, the film picks up and rapidly becomes better and better as it progresses and solidifies its voice. Not to mention having horror veterans Ti West and Joe Swanberg in the mix of family members dying off is often hilarious. 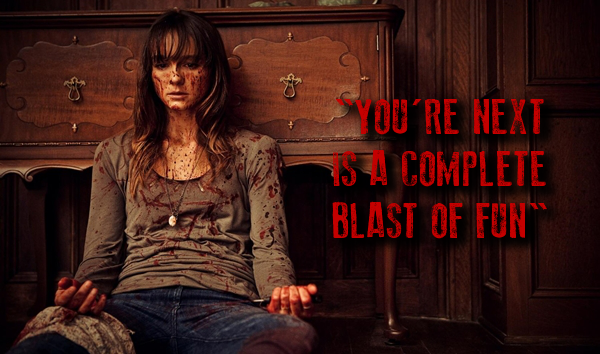 Sharni Vinson’s character is strong not just because she is a “badass,” but because she feels real and stays true to who she is throughout the film. I am excited to see where Adam Wingard and Simon Barrett do with The Guest, because they are voices to watch out for. You’re Next may have been the most fun I had in a theater all year. The Soska sisters have certainly made a name for themselves with their genius use of branding and self-promotion of their films. American Mary is a flawed movie, but definitely demonstrates their voices. The movie is beautifully shot and the body modification community is a fascinating backdrop, but some of this is lost due to some awkward and uneven pacing and a twist ending that left me feeling empty and cheated. Mary, played by veteran horror actress Katharine Isabelle, is an interesting character, but unfortunately is not as developed as she could have been. There are several compelling scenes, especially whenever we get a glimpse of Mary when she is alone or discussing her disconnect from people, but these do not occur as often as I would want, especially after Mary begins to seek her revenge. Overall, American Mary’s flaws are mostly outweighed by its interesting philosophies and insight on the body modification community, but I’d like (and hope) to see another original Soska sisters film that involves more restraint in order to convey its power.